This morning I went to the gym since I have sleep-ins on mondays. 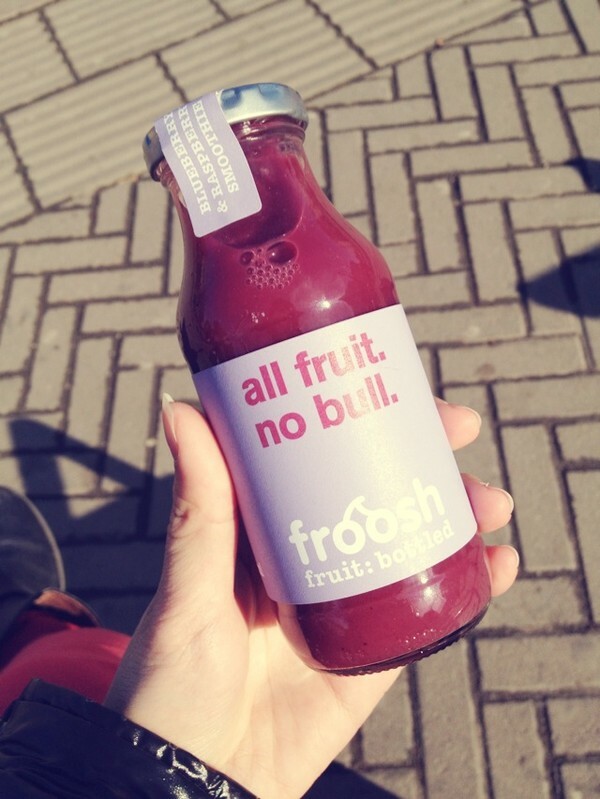 Right now I'm on my way to school and drinking this delicious smoothie! Today is lesson free and we are going to see/listen to peoples highschool projects. Since we only have one afternoon for this you'll only be able to choose 3 different presentations. I chose architecture means everything, forget not me (volunteer trip to Afrika) and craving for snacks/desserts. Haha, the last one isn't as serious but we didn't find anything else interesting since most of the presentations were full booked.